Life without computers is hard to imagine - a universal truth. In this age of technological advancement perpetual efforts are been made to enhance the user experience at every stage. We need to keep up with all these advancements to make the best of what we get. Following points will help you in enhancing your computing experience along with developing good computing habits. If you are a habitual computer user and worried about your eyes and sleeping habits then its probably the must have tweak for windows, mac and linux users. The cooler blue and white color emitted from the computer screen stimulates brain activity and makes it difficult for your brain to wind down, impairing your eyes and disturbing your sleep. 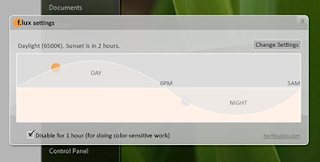 This little software will automatically adjust your screen colors according to the time, shifting your monitor's color to warmer hues. It can be downloaded from http://stereopsis.com/flux/ and remember to adjust its settings according to your needs(as it might seem crappy sometimes). Being unaware of the ongoing scenario of computer viruses, most people submit their personal credentials without taking much care of the outcomes thereafter. 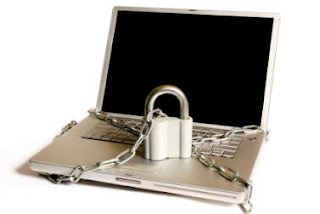 In spite of using a good anti-virus if you are still dubious about the level of protection of your computer (or any other computer on which you are about to submit your credentials), then its better to use the On-Screen keyboard while using Windows operating system(OS). Mac and Linux users have to worry less about it. On-Screen Keyboard is an in-built feature for Windows OS which can be accessed from the start menu. Your computer and your personal information can be compromised in many ways. So its better to keep your computer clean and secure. The best way to achieve this is by using anti-viruses and tune up tools. I'd rather recommend the use of free anti-virus such as Avast or Avira (subjected to change with time), as these are the best among any other available so far. And to keep your Windows registry clean and free from malwares, I'd recommend the use of Malwarebytes' (subjected to change with time). Remember that none of the anti-virus is good enough when you are about to be compromised, so prevention is better than cure. 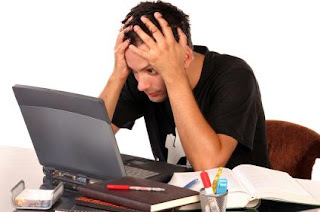 During the normal operation of your computer, Windows and your other programmes create an awful lot of temporary files. So over time their number builds up, and unless you clear them out they can slow down your computer noticeably. In the case of your Browser, the problem can be worse. All browsers cache the web pages you visit. The original reason was to make loading pages faster. When everyone was on dial-up this was quite a good idea, but with modern fast connections it's mostly unnecessary now. However browsers still cache webpages, and unless cleaned out regularly they build up to a position where they can have some pretty dramatic effects on how your browser works. So once a month, or once a week if you're a heavy user, it's a good idea to clean out your Temporary files. A good program that can be used for this purpose is CCleaner. Multi-User interface is available in all the Operating Systems(OS) including Mac, Linux and Windows, there's nothing new about it but to make the most from this feature create at least two users - Administrator and a Standard user. 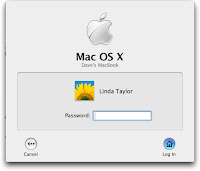 Keeping the Administrator account password protected can help you in keeping your personal stuff away from others which otherwise can be misused in many ways.